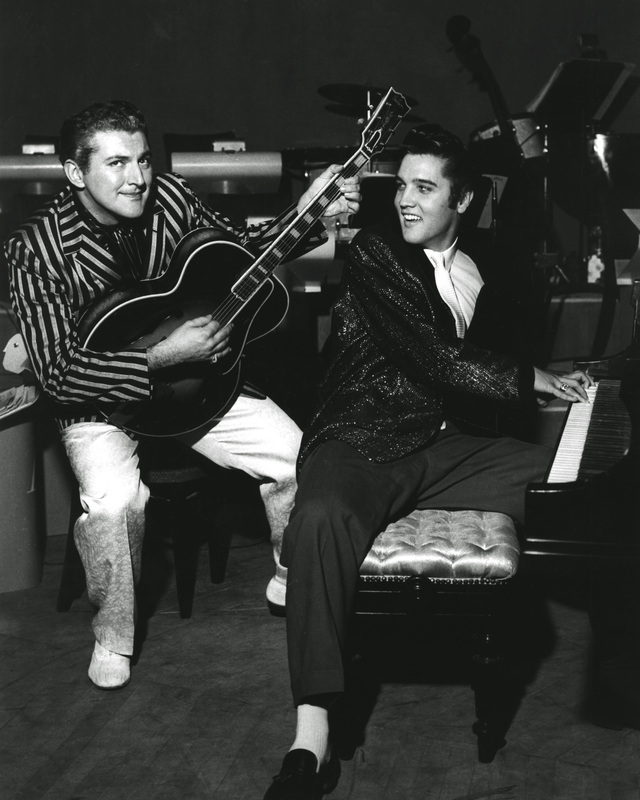 Elvis (right) Liberace (left) at the Riviera on 11/14/1956. Capturing the hearts of women everywhere. Photo courtesy of Graceland. For some of you, this is going to make you feel really old. But don’t try and drown yourself in your coffee cup, I’m going to break this to you as gently as possible. 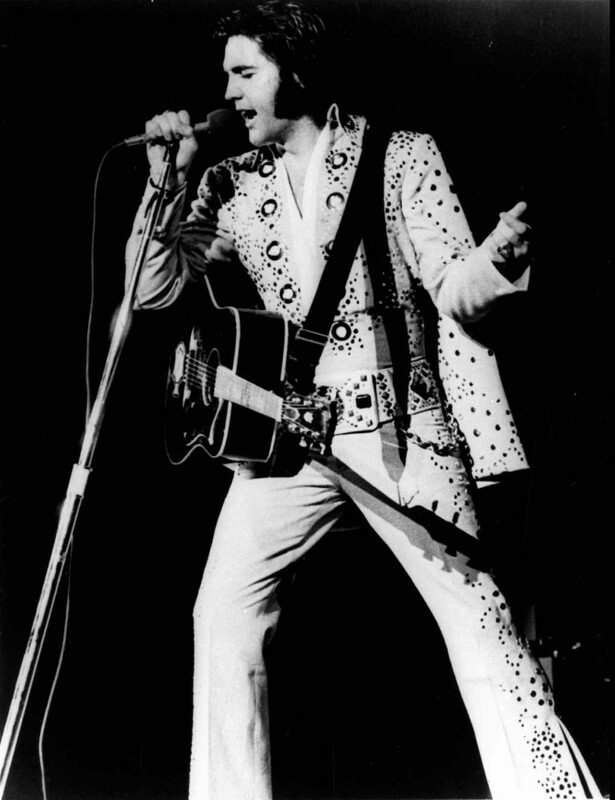 Today would have been the 81st birthday of Elvis Aaron Presley, the man who was the epitome of a living legend. Not that his death has really gotten in the way of his icon status. He’s the second richest dead celebrity on the planet according to Forbes, coming in behind his former (gulp) son-in-law Michael Jackson. The King made his first Vegas appearance in 1956 at the New Frontier Hotel, about the same time “Heartbreak Hotel” topped the Billboard charts. 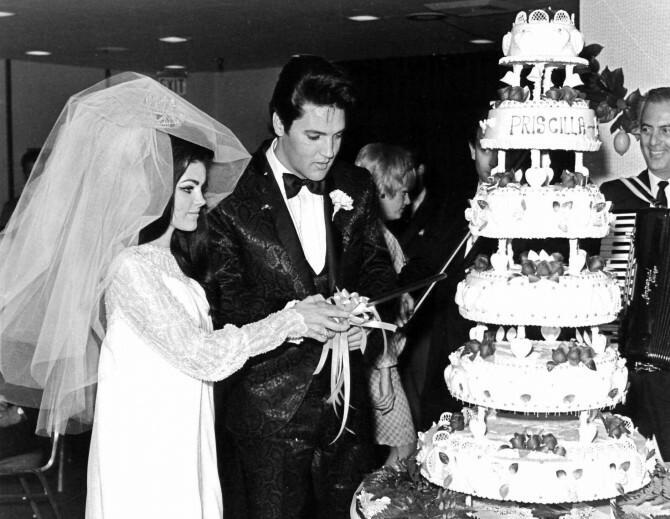 But the electrifying connection didn’t ignite until 13 years later, after he filmed “Viva Las Vegas” and married the raven-haired beauty, Priscilla Beaulieu at the Aladdin Hotel. In 1969, Mr. Presley broke every existing attendance record Las Vegas had ever set with his four-week, 57-show engagement at the International Hotel. And he would continue to do so until his final performance in December 1976. He would die just eight, short months later. Today, his legacy is alive and well in Las Vegas, woven into the fabric that still makes Sin City gleam all these years later. Never mind the countless impersonators and the incredibly rad aviators with bushy sideburns, we’ve got a 28,000-square-foot walk down memory lane in the same hotel he performed in. 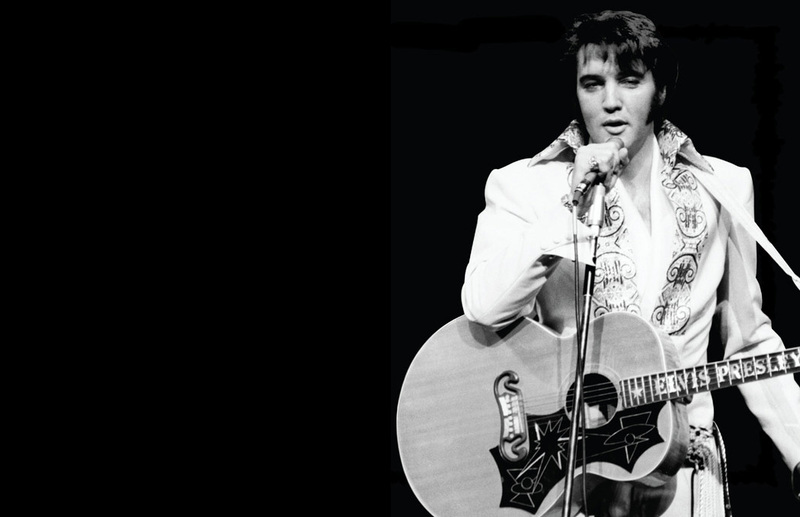 “Graceland Presents ELVIS: The Exhibition” opened at the Westgate nearly a year ago and gives visitors an intimate look at not just the rock star, but who he was as a father, a son and a husband. The museum is the only permanent exhibit outside of Graceland and the artifacts rotate so guests always have fresh exhibits to relish. Take a sec and look at the shirt you’re wearing, now imagine that someday it’s going to end up in a museum because you ended up being some sort of world-changing guru. Bet you’re sorely regretting that mustard stain now, aren’t ya? That’s pretty much exactly what happened to Elvis. They’ve got his clothes including the suits from his Vegas concerts, old pay stubs, restaurant tabs, yearbooks, cars and hand-written letters, totaling more than 350 artifacts in the exhibit. There are plenty of other Vegas tributes to The King too. He’s got a star on the Las Vegas Walk of Stars in front of the old Riviera, a handful of shows that pay homage to him like “All Shook Up” and “Million Dollar Quartet,” memorabilia at the Hard Rock Café, and you can get married in a number of Elvis-inspired chapels including the one operated by Elvis Presley Enterprises inside the Westgate. The world may have lost one of the most important figures in music history on August 16, 1977, but his legacy is alive and well in Sin City. HBD E.A.P. 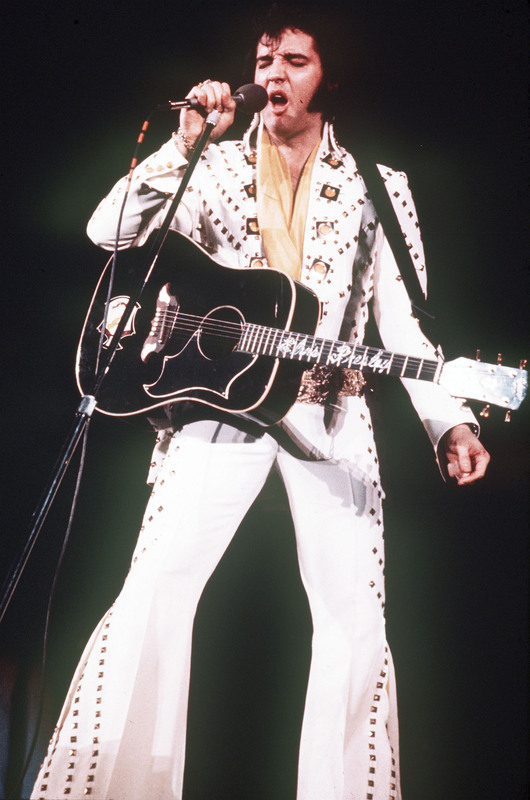 Learn more about Elvis Presley’s performances in Vegas, plus see where you can see shows and attractions inspired by The King.